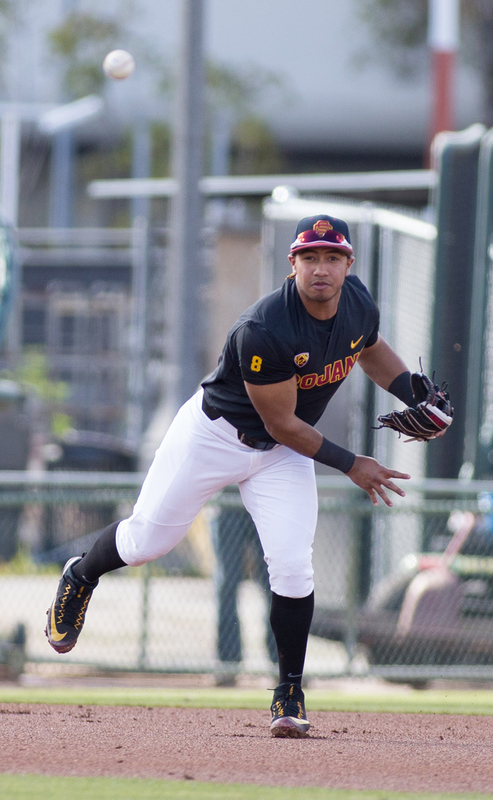 Hot corner · Junior third baseman Adalberto Carrillo and his teammates endured a tough night on the diamond on Tuesday as USC fell in a blowout. 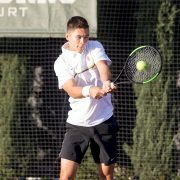 After dropping three straight series to Arizona, Stanford and Cal State Fullerton, the Trojans faced off against UC Irvine in two games as they battled to stay above .500. 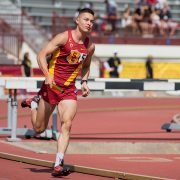 In the first contest at UC Irvine’s Irvine Bowl Park, the Trojans outlasted the Anteaters, winning 9-7 in a nailbiter. Sophomore second baseman Brandon Perez was instrumental in the win, going 3-for-4 with three RBIs and three runs scored. 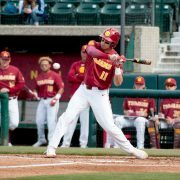 For the rematch, the Trojans returned to Dedeaux Field looking to repeat the dominant hitting performance from the previous day. In just his second start of the year, sophomore right-hander Solomon Bates got off to a rough start. He gave up three hits including a home run by Anteater designated hitter Keston Hiura. However, Bates recovered nicely, and USC exited with a two-run deficit that could have been a lot worse. The Trojan batting order immediately responded to their early disadvantage with runs in both the first and second innings to tie the game. 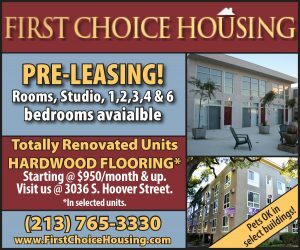 When USC loaded the bases with two outs in the bottom of the second, Anteaters pitcher Jordan Bocko had to go up against prolific sophomore hitter Lars Nootbaar. However instead of launching one of his signature bombs as he tends to do with runners in scoring position, Nootbaar settled for a walk that resulted in his 25th RBI of the year. In the top of the fourth inning, UC Irvine changed pitchers and lost their catcher, Matt Reitano, after he was apparently struck with a ball that bounced off the dirt. USC freshman designated hitter Blake Sabol worked his way to third base after hitting a single and advancing on a groundout and a wild pitch, but he was left stranded when sophomore Brandon Perez lined out to end the inning. It looked as though Perez had a clear line drive hit, but UC Irvine second baseman Cole Kreuter came out of nowhere, leaping into the air and snagging the ball. The Anteaters broke the 2-2 tie in the next frame, as Bates gave up a double, followed by an RBI single. The road team inflicted further damage when Kreuter homered deep to left field. Suddenly, a tightly contested game turned into a 5-2 lead for the Anteaters and Bates was replaced by junior Mason Perryman. Perryman fared worse than Bates. After giving up a walk, hitting a batter and allowing a bunt-single, Perryman hit another UC Irvine player, which gave the Anteaters a 6-2 advantage. The inning only got worse for the Trojans from that point. Perryman then walked two straight batters for RBIs before the Anteaters recorded their fourth run of the inning on a sacrifice fly. Hitting a batter for the third time and loading the bases again, Perryman’s outing ended when senior outfielder Corey Dempster failed to catch a difficult ball deep in right field. UC Irvine scored two more runs on the play before one of their runners was tagged out at home, mercifully ending a frame filled with both insult and injury. USC’s defense had plenty of opportunities to bail out their embattled pitcher with two outs, but they failed to catch three fly balls in a row. USC tried to mount a comeback over the next three innings, but the large deficit as a result of the devastating sixth was too difficult to overcome. With freshman reliever Michael Gates in the game, the Trojans allowed two more runs in the seventh inning extending UC Irvine’s lead to 13-2. Ultimately, UC Irvine won 14-3 after USC plated a run in the eighth and the Anteaters scored again in the ninth. The team will have a couple days of rest before heading to Berkeley for a series against Cal.